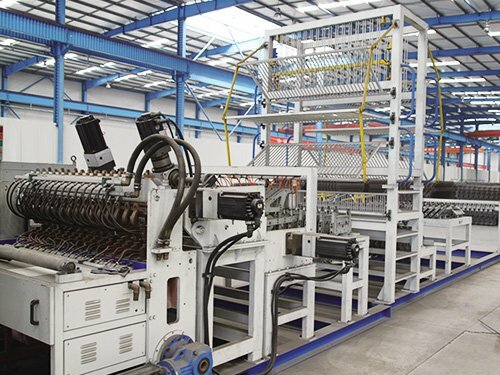 The reinforcement wire mesh machine is the most popular Reinforcement mesh machine. 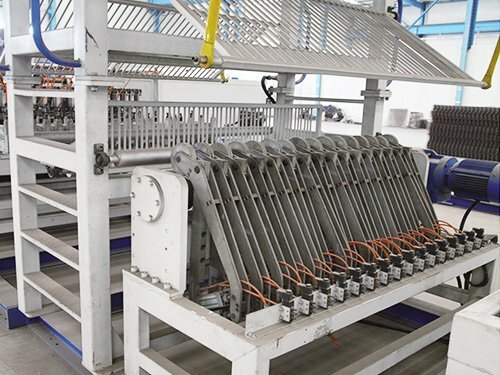 Reinforcement mesh line II is an automated steel mesh welding equipment,Reinforcing steel mesh is mainly used in coal mine roadway protection and reinforcement, concrete pavement, deck pavement, airport runway, tunnel lining, house floor, roof, wall, floor, concrete pipe, pile and so on. 1.Both line and cross wires are fed from coils which could be straightened, cut and fed directly. 2.It is equipped with storage materials testing device. It will grab the wire when there is lack of materials. 3.Both the welding electrodes and transformers are equipped with water-cooling system to prolong the service life. 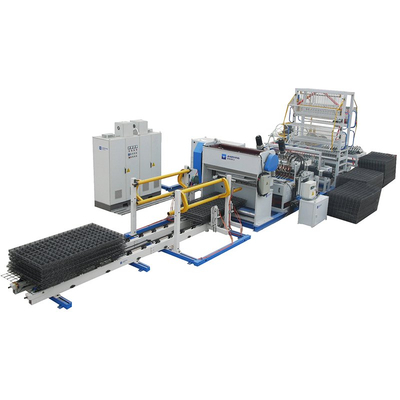 4.Cooling circuit with stainless steel quick plug connector, change the machine convenient and quick; use high temperature water hose, to prevent welding slag hot. 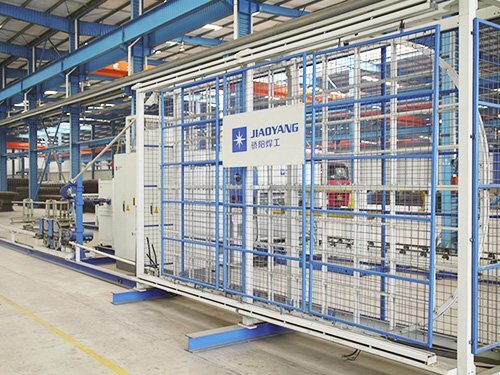 5.The welding adopts synchronous power control and separate-control, welding process is controlled synchronously by electric board, making the welding transformers working simultaneously or separately. 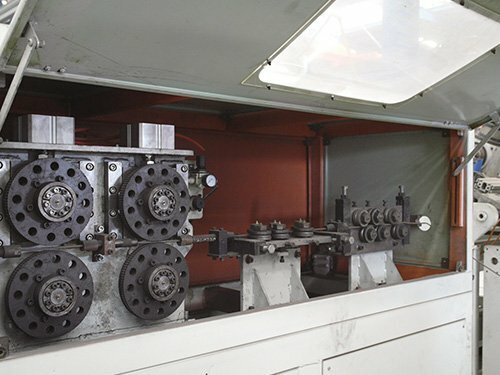 6.Main structure of welding machine adopts motor drive, spring weighted, making cost cheap. 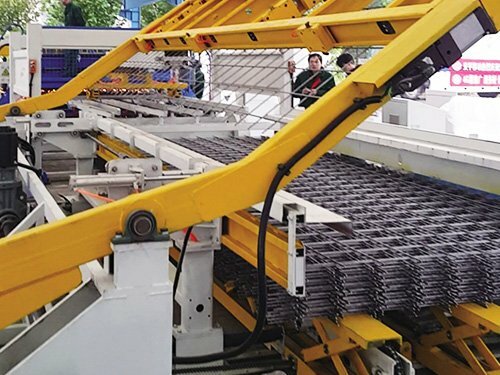 7.After the mesh panel falling, the conveyor will convey it outside automatic,easy to manually bundle and carry. The dropping design, easy to transport, according to the actual use of the requirements of the expansion of length. 8.Welding material can be hot-rolled ribbed bar, cold-rolled ribbed bar, hot-rolled plain bar, cold-rolled plain bar, etc. 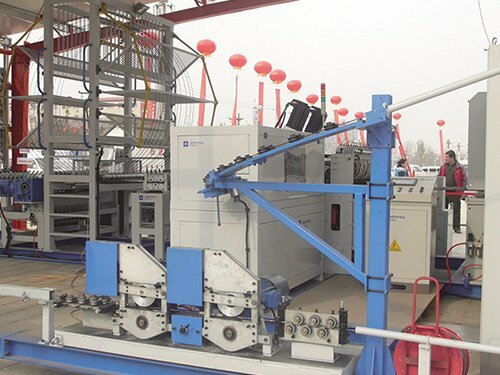 9.Can be equipped with the devices of turning over, dropping, automatic packaging. 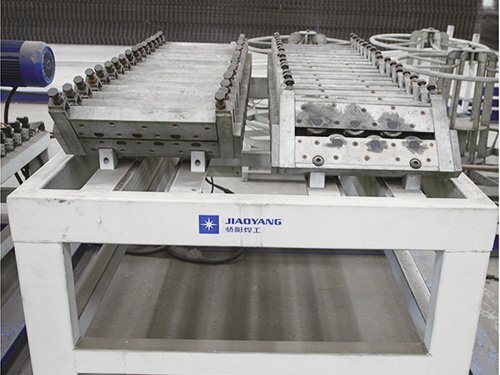 1 Guilding line wire to the welding position,prepare for the welding,and reduce the required mesh pulling strenth. 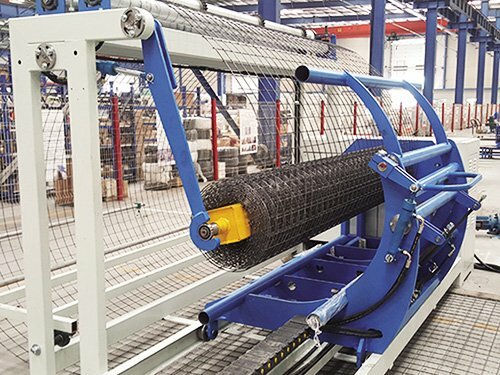 4 Turning one mesh sheet.Every two produce,reduce the pack volume.Workabie for mesh panel 6-12m. 5 Welding speed:90 times/min. 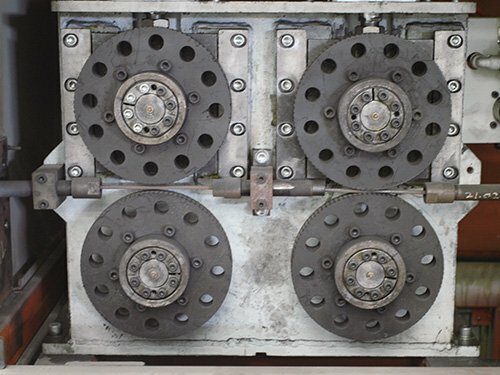 ,Welding pressure:springs,Main motor is servo motor.